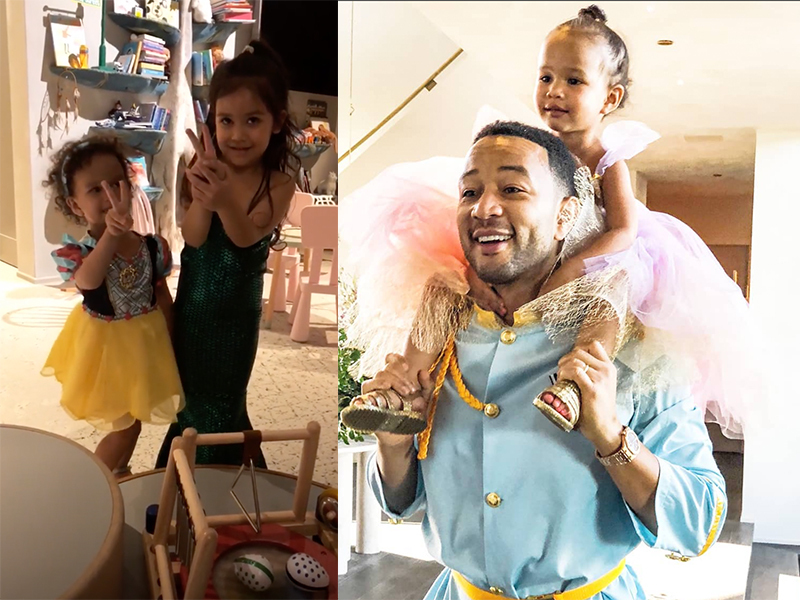 This year, Halloween enthusiasts still had a firm eye on their Hollywood fave’s costumes, but there were some surprisingly next-level entries from high profile local mums and dads too. It’s Zoë + Hamish and kids! As the cast of Seinfeld!!! “Probably the only thing more fun than realising we had the right ingredients for a Seinfeld family Halloween photo was our mate Jez then making Jerry and George ‘cast height accurate’,” Hamish posted alongside his proud Halloween reveal. Probably the only thing more fun than realising we had the right ingredients for a Seinfeld family Halloween photo was our mate Jez then making Jerry and George “cast height accurate”. The fancy dress shop had COMPLETELY run out of Incredibles costumes. It was a Sein. “The fancy dress shop had COMPLETELY run out of Incredibles costumes. It was a Sein,” Zoë wrote in her shot caption – and honestly, this is a whole other kind of incredible. Followers thought so too, pretty much bowing down to the Australian winners of Halloween. “The only reason I want kids would be for these type of shenanigans,” another confessed. “If my family don’t do anything like this, I will be forced to start a new one,” someone else warned. “Welcome, foolish mortals. We hope your Halloween is happily haunted, but heed this warning: beware of Hitchhiking Ghosts!” David Burtka captioned his and NPH’s family shot. This famous Halloween-loving family themed their costumes around the hitchhiking ghosts from The Haunted Mansion ride in Walt Disney World and Disneyland. Khloé went a leeeetle bit nuts for True’s first Halloween, dressing her daughter as a unicorn, a panda, a lamb, a piglet and a tiger! Phew! We understand because decisions are difficult – and why not have both all?! “My baby butterfly,” Kylie captioned a matchy-matchy photo of herself and Stormi brimming with pretty pink sparkles and sporting giant butterfly wings. Pink’s toddler son peaked early with a weekend pirate costume sans eye patch but avec lots of cute! And circling back on our fair shores TV presenter David Campbell and family found an excuse to practice their best Scooby Doo sound. “The real horror story here was getting ready to go Trick Or Treating tonight … Happy Halloween,” Chezzi captioned the shot of herself and the cute kids she shares with TV personality Grant Denyer.